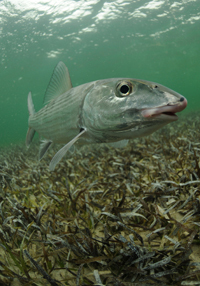 Florida International University’s Jennifer Rehage presents “Understanding the Dynamics and Sustainability of Recreational Fisheries: Patterns, Drivers, Space and Time in Bonefish (Albula vulpes) in South Florida” from 4 to 5:30 p.m. Feb. 8 in 164 Howlett Hall, 2001 Fyffe Road, on Ohio State’s Columbus campus. Learn more. Her talk is part of a seminar series hosted by CFAES’s School of Environment and Natural Resources. Posted by Kurt Knebusch at 8:00am February 7, 2018 Posted in On Campus, Uncategorized and tagged biodiversity, fish, fisheries. Bookmark the permalink.